Robots and zombies and Filipino shape shifting spirits, Oh My! These short films provide a brief escape from the more mundane aspects of our day to day realities by exploring how new worlds, new perspectives, and limitless possibilities. At a young age, Archana, is told that she is cursed. After an astrologer says that she is Manglik (cursed due to the positioning of Mars in her horoscope), her family tries to counteract the curse in various ways. At 25, Archana is about to perform a ritual to cleanse herself of the curse, but finds herself in a position that might prove her horoscope true. MEREDITH KOCH is a director based out of Los Angeles. She holds a MFA in Directing from the American Film Institute, AFI and a BA in Directing from UCLA. Meredith is a director with a focus on unexpected characters in a visually stylized setting. Her thoughtful and meticulous directing style is inspired by characters' subconscious interference in everyday life. Her disposition for non-linear storytelling adds a unique and unexpected twist on any film, commercial, or music video. Her film, RAKSHA received Best International Short Film Award at the Delhi International Film Festival, Special Festival Mention at the Mumbai Shorts International Film Festival and has earned Academy Accreditation as a finalist at the Best of India Film Festival. 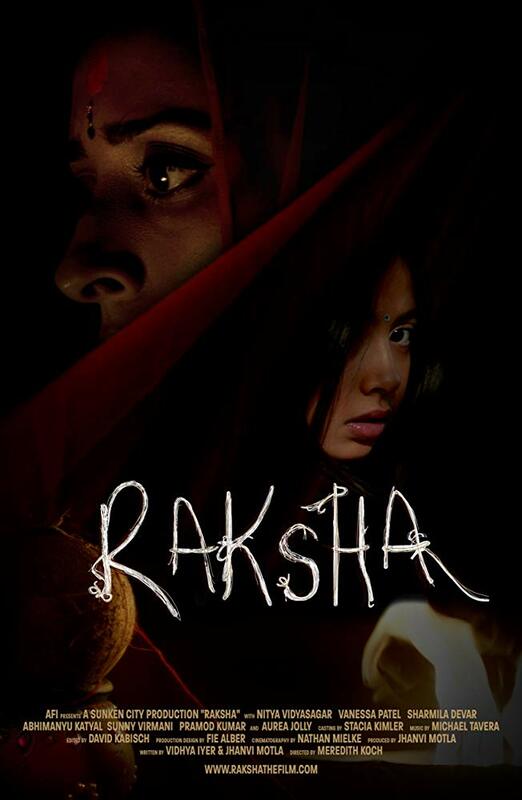 Thus far Raksha has screened at 13 competitive international film festivals. Her other films MARGO & MAY, ROSIE REED THE BANDIT QUEEN and THE DEEP END have also gained traction on the festival circuit. Yuko's love for strawberries knows no bounds and she believes that they will save the world. 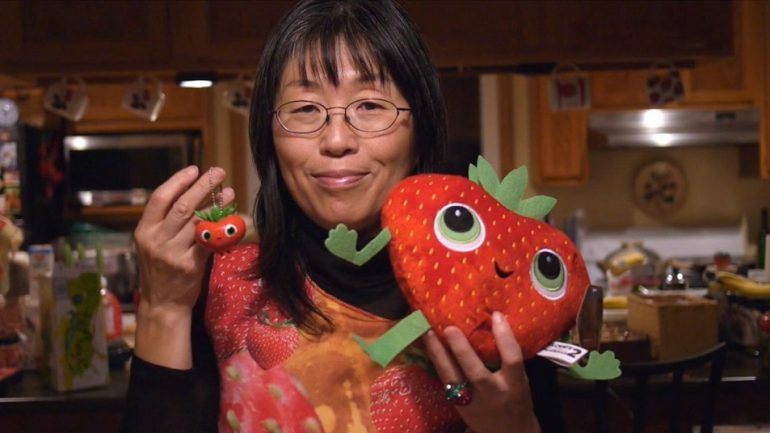 This short doc film is about my mother who lives in Bloomington, Indiana and how her obsession with all things strawberries has given her purpose and an international community. YOKO OKUMURA is an award winning writer, director, producer and performer. Born in a Buddhist temple in Japan and raised in the frost bite of Minneapolis, Yoko now lives and works under the blazing sun of Los Angeles.Yoko was chosen for the prestigious FOX Global Directing Initiative 2016. She was also the 1st place winner of the 2014 DGA Student Film Awards in the west region Asian American category for her AFI thesis film Kimi Kabuki. The film was also granted the Panavision New Filmmakers Program award, Austin Film Festival Jury Award, deadCenter Film Festival Best Student Film Award and Cinekink Best Comedy Short Award. She was a semi-finalist for the HBO Access Directing Fellowship and her features script The Religion of Girlfriends was rated in the top 10% at the Nicholl's Academy Screenwriting Competition. ​As a woman waits for her signal to begin the most important run of her life, she must overcome what her training cannot – her past. Yung-Jae Chen is an American/Chinese/Taiwanese filmmaker born and raised in the Greater Bay Area. RUNNER is his debut short as writer and director. Yung-Jae has 7 years of experience working in the commercial, advertising and media industry. In the past several years, he’s led story-first commercials and campaigns for the likes of Google, Activision, NVIDIA, and more. He received his double BA in Film & Media Studies and Political Science from Dartmouth College. After the death of a whale, its corpse will become oasis for hundreds even thousands to live. Same as the death of a man - his word and love will continuously affect next generation that follow. As a great writer, that is how my grandfather affected Chinese literature and me after his death. Yiyuan Yuan, also called Coy, is a digital artist who is majoring in 3D animation. 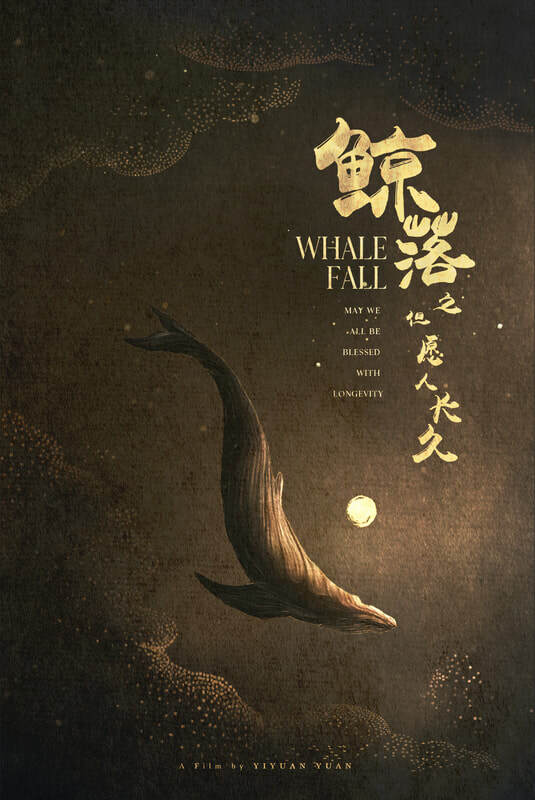 Besides animation, Yiyuan has expanded her love of art to include motion graphics and design as well as digital painting. She even directed her own 20-minute short film for her high school. YIyuan graduated from Ball State University in Muncie, Indiana, with a major in animation. She is now studying at the School of Visual Arts in New York City for her MFA in Computer Arts. She was born into a literary family in the south of China, and her name name means “the origin of art” in Chinese. With that blessed name from her family, she began her life’s journey as an artist – now and in the future. A man is worried he may be a Filipino monster that eats fetuses, so he warns his pregnant neighbor, but he just sounds insane. BERNARD BADION is a director from the Bay Area in Northern California. He is an award-winning alumnus of Loyola Marymount University’s Writing and Producing for Television program. He’s a recent fellow at the Film Independent Incubator Lab, which is a one-year program that offers mentorship and a place where Bernard fostered his short film I WON’T MISS YOU. At the lab, he was a recipient of the Stuart Family Grant for his work. Bernard’s directing work has been said to “evoke equal amounts of laughter and tears” (Philadelphia Asian American Film Festival) and that his storytelling is “open-hearted and transformative” (Napa Valley Film Festival).Bernard is currently working on the ABC show Fresh Off The Boat as an assistant. In a world where cutting edge robots are coveted, a fledgling human technician is torn between pursuing his feelings towards an outdated android and placating his abusive, android-aversive father. After starting off his career as a production assistant for several local movies, Tan Ce Ding took on the role of Assistant Director in the advertising film making industry. Under the tutelage of top local directors, he has refined and expanded his repertoire of filmmaking techniques. With his newfound expertise, Ce Ding went beyond the local scene by collaborating with a wide spectrum of international directors from Australia, England, Korea, Thailand, Singapore and Indonesia. Since then, he has more than 200 TVC assistant director credits under his belt. 2 years later, he made his TVC directorial debut at the ripe age of 23. His directing talent made him incredibly sought after by iconic brands such as Samsung, Tiger Beer, Digi, Celcom, KFC, Pringles, Sime Darby, Courts Mammoth, Watsons, Hong Leong Bank and Nivea. Ce Ding’s short film ‘Hawa’ won the Best Film, Best Director and Best Screenplay Award in the BMW Shorties 2016, the most prestigious and longest running short film festival in Malaysia. His peerless achievements led him to the role of Film Director in Naga DDB Tribal, one of the giants of Malaysia’s advertising industry. From production house to advertising agency, Ce Ding’s phenomenal expertise as a director coupled with his tremendous wealth of experience in the advertising filmmaking industry grants him fresh, encompassing and distinctive perspectives on the entire production process. Armed with exceptional artistic vision, creative skills and an ever-expanding repository of technical knowledge, Ce Ding is always hungry for innovative and original ways to create an engaging film.